This year's edition of Berlinale , which took place between 15-25 February, was my third time attending it. Berlin in February is very cold, and coming from a city that is very hot for most of the year, it was a welcome escape that combined enjoying (short) walks in the cold brisk air and spending many hours indoors watching films. My day would start with a quick walk to Berlinale Palast to watch press screenings of the films in competition which would receive its red carpet premiere the same evening, followed by more film screenings in CinemmaxX or Arsenal, all within walking distance in what is mainly the festival centre in Potsdamer Platz and Marlene-Dietrich-Platz. I watched a few films in other parts of town, but this year I mainly stayed within the film festival centre and most of the films I watched were in the Forum section. I didn't get to see as many films as I wanted to see in the Retrospective section, compared to last year, but I managed to see a few films in the Classics section and in Homage which was dedicated to Willem Dafoe this year. Out of the films I watched in the Competition section, Transit by Christian Petzold was my favourite, a conceptually different take on refugees, migration, waiting and mistaken identities. Past and present merge in this film and it's a superb follow up and even a companion piece to his previous film, Phoenix. Steven Soderbergh's Unsane, about a young woman that leaves her hometown to escape a troubled past and to start a new job and a new life ends up getting involuntarily committed to a mental institution where she is confronted by her greatest fear. Shot on an iPhone 7, and played like a B movie psycho thriller, the film also addresses the corporatisation of the health system and women's safety against men. Topical, claustrophobic and at times, gruesome. In the Forum section, 11 x 14 by James Benning, a film from 1977 made of single shot scenes, each one with its own narration and some with recurring elements. Scenes include views from inside a carriage of a train ride in Chicago, buildings, homes, open fields, traffic, billboard advertising, a flying plane, factory chimney emitting heavy white smoke. Presented on a newly restored 35mm print (from the original 16 mm), a beautifully composed film about observation and new perspectives. The screening film was followed by a conversation with Benning, my favourite line from it was him describing 11 x 14 as "It's kind of a funny film." The Green Fog by Guy Maddin, Evan Johnson, Galen Johnson, is an homage to Hitchcock's Vertigo, retelling the film through found footage of scenes from films and TV shows from the Bay Area. Brilliant and funny, it's one cinephiles will enjoy watching and one I look forward to seeing again. It feels like Hang Sangsoo never stops making films and we got to see the world premiere of Grass, mostly set in a cafe filled with conversations between men and women, classical music by Franz Schubert, Richard Wagner, or Jacques Offenbach and lots of food and soju. Are these conversations real or imagined stories by Areum (Kim Minhee) the young woman sitting with a laptop in the corner of the cafe. Khook (Pig) by Mani Haghighi is an Iranian film, a black comedy about a blacklisted film director who isn't allowed to make films, who has also seems to be not a target by a serial killer murdering filmmakers. A funny film about being an artist and about vanity, reputation and popularity in this day of social media. The protagonist in Corneliu Porumboiu's Infinite Football, Laurențiu Ginghină, thinks the rules of football need changing. His deep monologue about the football becomes more than just about the game, but about politics, land ownership and life. Another film about sports that is more than it appears to be is the brilliant In the Realm of Perfection by Julien Faraut. It starts with scenes from black-and-white instructional film about tennis, a statement made by Jean-Luc Godard saying that “Movies lie, not sports”, we are then led to films found in the national sports archive revealing 16-mm films about the performances of John McEnroe. 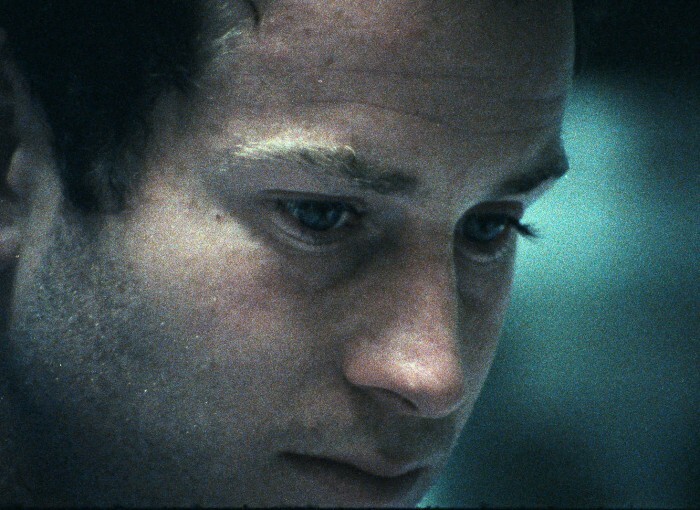 These films of McEnroe at Roland Garros are analysed through slow motion and different perspectives with music that transforms the scenes into a rock opera. A film that is about both tennis and cinema. 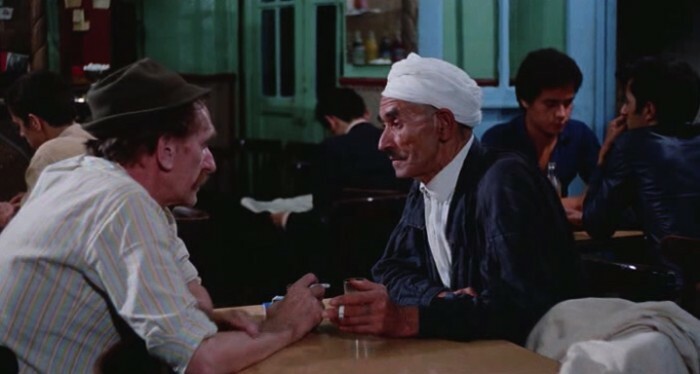 The Algerian film Tahiya Ya Didou by Mohamed Zinet, a film from 1971 that was accidentally rediscovered and restored. It blends documentary and fiction, a travelogue capturing the everyday lives of people in the streets, markets and cafes, it addresses the effects of colonialism, changes and economic development. A gem of a film. 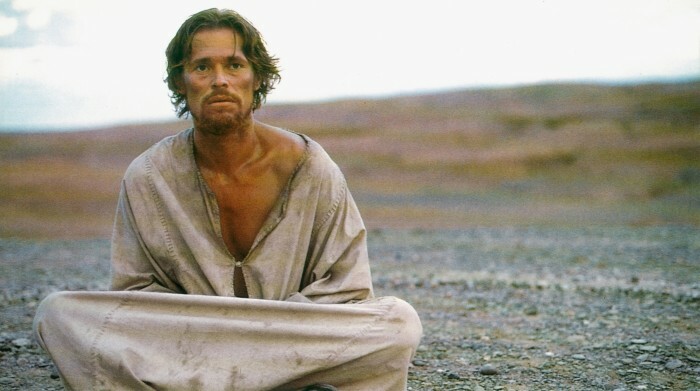 The Homage section was dedicated to Willem Dafoe this year and it included The Last Temptation of Christ by Martin Scorsese from 1988. A film that I was never able to see before, but only knew it through its soundtrack by Peter Gabriel which I heard many, many times when it came out. I was bowled over by the last third of the film and the very last scene. Scorsese's films about religion and spirituality (including Kundun, Silence) are his most profound films in my opinion. In the Berlinale Classics section, Ildikó Enyedi's My 20th Century from 1989 was the standout for me. A black and white film that is sensual and full of memorable scenes. A fairy tale love story that plays homage to silent movies. The two protagonists in the film are separated twins that end up with two very different lives, one a courtesan and another a feminist revolutionary (both played by Dorothy Segda). The film starts in 1880 and travels through time addressing technological modernity, sexism and exploitation. Valeska Grisebach's Western gained critical acclaim after premiering in Un Certain Regard section at the Cannes Film Festival last year. It's a film I wasn't able to see last year, so I was happy it was included in the LOLA section of Berlinale, a programme of films long-listed for the German Film Awards (aka LOLA) by the German Film Academy. About a group of German workers on a construction site in the border region between Bulgaria and Greece, it's a film about language barriers, mistrust and tension between the German men and the men in the nearby Bulgarian community. The title refers to the Western film genre, but also the presence of Western Europe in Eastern Europe and the assumption of western superiority over the east. The lead protagonist played by the excellent non-professional actor Reinhard Neumann is our current day cowboy, an observant, solitary middle aged man in search for a human connection. A powerful and low-key film about men made by a woman. As with all film festivals, one misses more films than one could see, but the one film I regret not getting a chance to see is An Elephant Standing Still by Hu Bo (in the Forum section). A debut from Hu Bo who tragically committed suicide at the age of 29 in October last year. The 4 hour film is "a portrait of a society of egoists" set in one single suspenseful day from dawn to dusk, when the train to Manzhouli is set to depart. A film I hope I get to see this year. The list of all the films I watched at the festival is added below.